New proposals on constituency boundaries were released by the Boundary Commission for England on Tuesday October 17 in a bid to reduce the number of MPs from 650 to 600 in time for the next general election. The new constituency which Kenilworth’s electors could vote in would be called ‘Coventry South and Kenilworth’, and would incorporate several Coventry suburbs including Tile Hill, Canley, and Whitley. 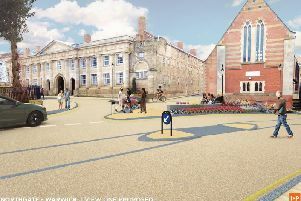 The Kenilworth and Southam Liberal Democrats have criticised the proposals. The group’s chairman John Whitehouse said: “These unfair plans make no sense in terms of local community ties and need to be re-thought. “To suggest there are community links between south Coventry and Kenilworth, which might justify shunting electors in these areas into the same constituency, is a nonsense. But the Conservative MP for Kenilworth and Southam Jeremy Wright was open to the changes. He said: “The principle that Parliamentary constituencies should be of approximately the same size is the right one. “Carrying out a Boundary Review to implement that principle involves inevitable change and disruption. “I support the principle and it wouldn’t be right for me to object to proposals which enact it simply because they inconvenience or disadvantage me. A consultation on the changes is now open, and ends on Monday December 11. Anyone wishing to comment on the proposals should visit bce2018.org.uk and click on the ‘Make a Comment’ link.